Who doesn’t love the warm glow of a candle? Everyone loves the warm glow of candle light, especially during the cold winter months. How much more would you love a candle that also improves the air quality of your home? Seems too good to be true, right? 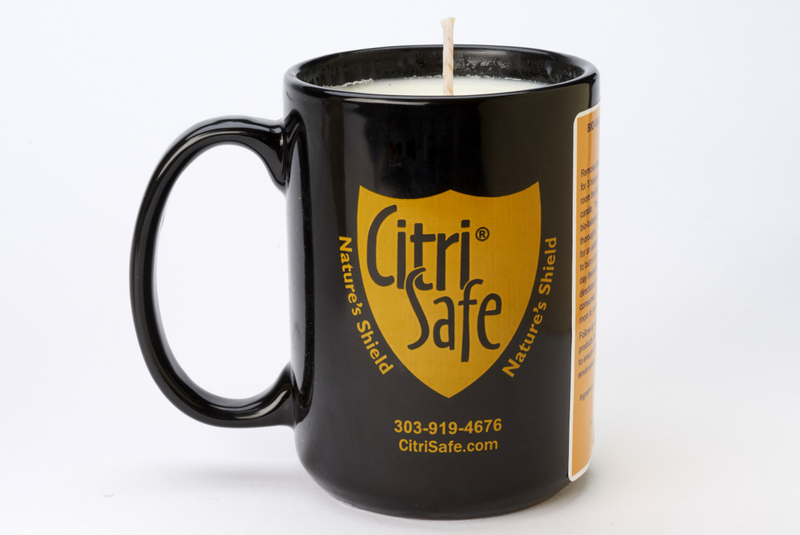 But that’s just what you get with our line of CitriSafe bio-balancing candles! So let’s talk a little bit more about these candles and why they’re much more than just a regular old candle. The primary reason these candles are so special is that they contain our specially formulated botanically-based treatment solution that reduces mold in the air to normal background levels. We call this reduction of mold “bio-balancing” the indoor environment – and it’s done without harsh chemicals that may cause further harm to individuals already affected by mold in their home or office. In fact, we made our candles with vegetable wax to prevent hydrocarbon exposure to ensure they are safe for people, pets, and plants. 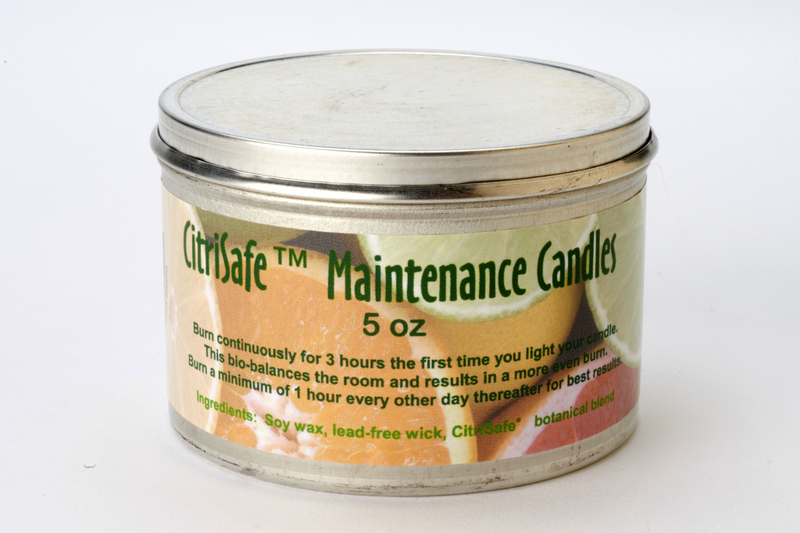 Instead of heavy fragrances and toxic compounds, our candles emit a safe, odorless concentrate of citrus and vegetable extracts, a particularly important feature for those suffering from Multiple Chemical Sensitivities (MCS), a common issue for those affected by mold. No complicated instructions, No huge monetary investment. No mess to deal with. Just a candle, a match or lighter, and a safe place to put your lighted candle. Don’t you just love how easy they are to use? If you’re not sure whether or not one of our candles is the right fit for your situation, please contact us by phone or email so that we can help you figure it out. Did you know that we also offer a free 10 minute consultation with any product order? We want to make sure our clients have the information and tools they need to deal with the environmental and health challenges of mold in their home, work place, or school. This candle is our longest burning candle at 60 hours. Stronger than our Maintenance Candle, it is the best option for an initial bio-balancing treatment of your environment. Packaged in a sturdy porcelain cup with a handle, you can move it from room to room as needed. Recommended usage is to burn the candle for three (3) hours per day in a closed room for 3 to 5 days. With up to 30 hours of burn time, our Maintenance Candle is perfect for maintaining a pleasant bio-balanced environment at home, work, or while traveling. Recommended usage is to burn the candle for three (3) hours the first day and one (1) hour every one to two (1-2) days thereafter. 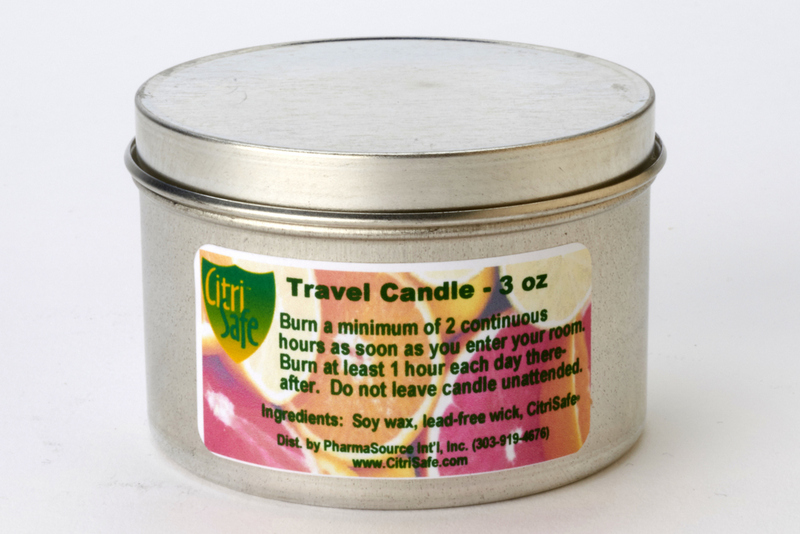 The Travel Candle is just like our Maintenance Candle…only smaller for easy packing in suitcases, duffle bags, and backpacks. With up to eighteen (18) hours of burn time, it offers the same great bio-balancing Recommended usage is to burn the candle for three (3) hours the first day and one (1) hour every one to two (1-2) days thereafter. 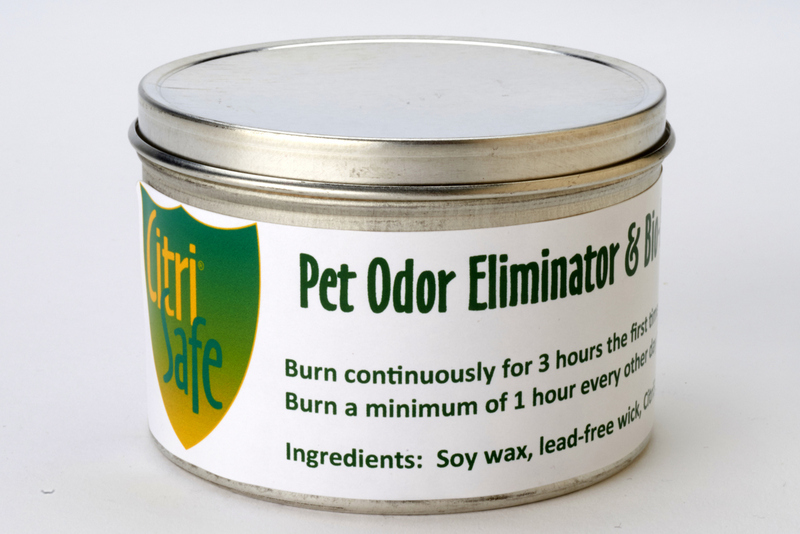 The Pet Odor Eliminator & Bio-Balancing Candle offers the same great bio-balancing results as our other candles with the added benefit of eliminating pet odors! Packaged in a tin container with a lid, recommended usage is to burn the candle for three (3) hours the first day and one (1) hour every other day thereafter. 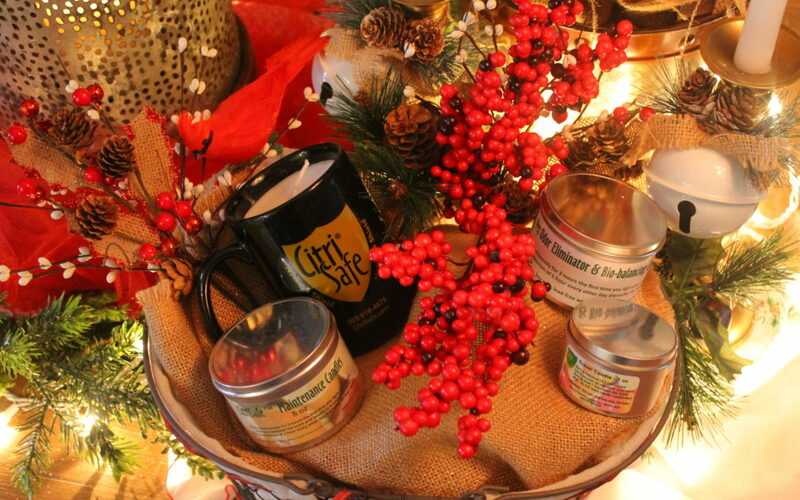 Happy Holidays from the CitriSafe Team!